sks of today are a very efficient and excellent solution files sharing, carrying around or even backup. However, each coin has 2 sides Because USB Flash Drive are designed to be small in terms of size (and light too! ), it is also easy to misplace or worst case, get stolen. With TrueCrypt encryption on USB flash drive, all these problem can be handled with ease; best part of all, it don’t cost a penny. TrueCrypt enables you to encrypt an entire partition or storage device such as USB flash drive. No data stored on an encrypted volume can be read (decrypted) without using the correct password/keyfile(s) or correct encryption keys. 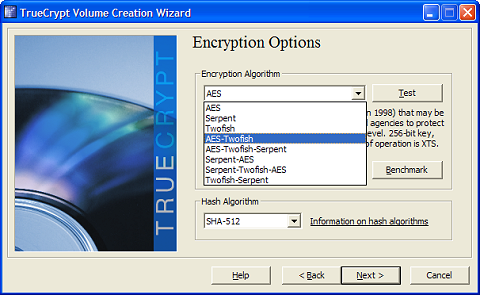 Basically it’s pretty easy to encrypt an USB flash drive with TrueCrypt. Upon install, you’re required to create a TrueCrypt volume on a removable drive with preferable encryption option. After that, create a set of password for your TrueCrypt volume and format it. Then, mount your TrueCrypt volume and start using it. You will be prompted for your TrueCrypt password whenever you access it. Click here for a complete step by step tutorial with print screens.